Back in February, Marvel made the announcement comic book fans had been waiting years for, that Spider-Man has finally joined the Marvel Cinematic Universe. The studio struck a joint deal with Sony Pictures, which allowed Spidey to be used as a supporting character in the MCU, while both Marvel and Sony will produce a new Spider-Man reboot. It was revealed that this beloved character will first debut in a Marvel movie, which was always expected to be next year's Captain America: Civil War, but it was never officially confirmed. During Entertainment Weekly's visit to the set, the site got star Robert Downey Jr. to reveal that Spider-Man is actually in the movie. "[Don] Cheadle and I are just going, 'Wow, dude, look at this.' We're now like the old guard, and our storyline carries real weight just because of our history in the [canon]. But we're also looking around like, 'Who thought that Falcon and Black Panther and Ant-Man and now Spider-Man?' I mean it's like wow, this thing is just crazy." The site reveals that during a major battle sequence, they spotted a stuntman wearing, "a very familiar red and blue suit that covered him from head to toe." 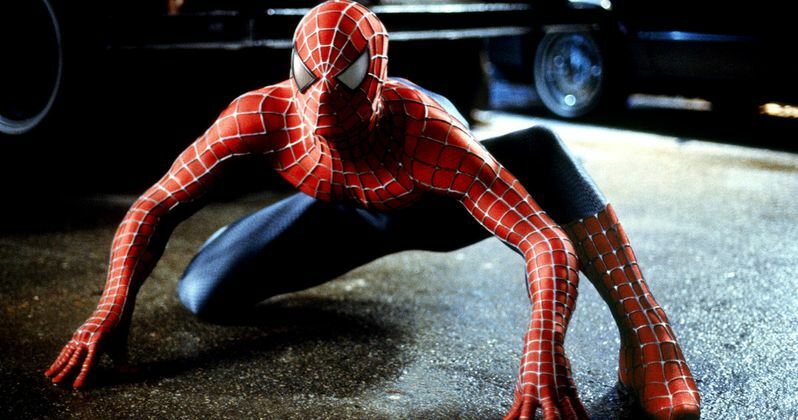 Producer Kevin Feige wouldn't confirm it was Spider-Man, hinting that it may have been a "cosplayer" on the set. However, later on that day, Robert Downey Jr. himself was spotted walking with his arm around Tom Holland, who was wearing the full classic Spider-Man costume without the mask. While no one at Marvel will confirm Spidey's presence in Captain America: Civil War, director Joe Russo revealed that he and his brother Anthony Russo held two screen tests for the character, while praising Tom Holland. "We did two screen tests with the character. We were pretty vocal about who we wanted for the part. He's fantastic. Amazing. It's like Christian Bale in Empire of the Sun. Rarely do you see a kid carry a movie like that. He's also a dancer and a gymnast. He fits the part like you can't believe. Another thing that we were really pushing for was to go young with the part. It's the only way to differentiate it from what's been done in the past. Get him as close as you can to the age that [the actor] is." Chris Evans tried to save face by saying that sometimes Marvel, "shoots things and then don't use them." While that certainly could be true, Spider-Man's inclusion in Captain America: Civil War makes sense, since the character was featured in the comics and it debuts more than one year before the Spider-Man reboot debuts on July 28, 2017. It still isn't known which side Spidey will fight for in Captain America: Civil War, but we'll keep you posted with more details as soon as they come in.